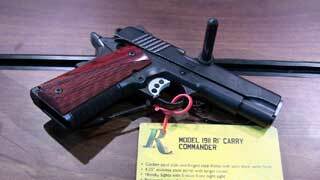 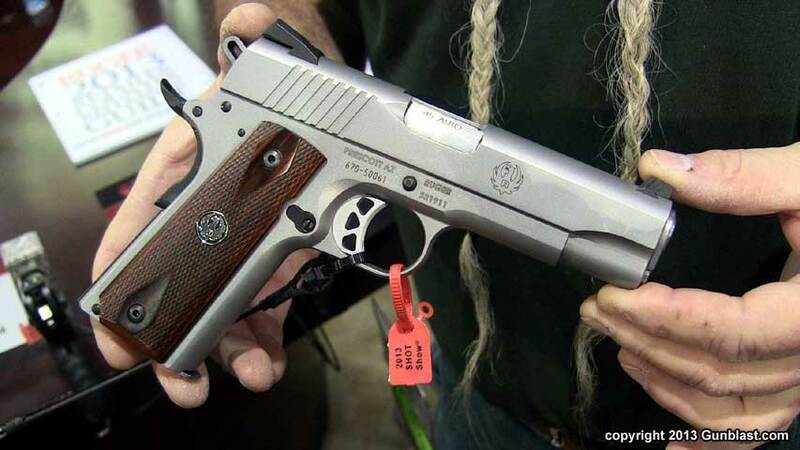 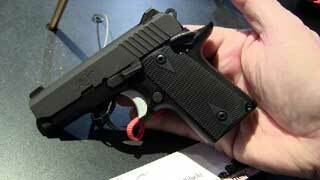 Remington 1911 R1 Carry Commander. 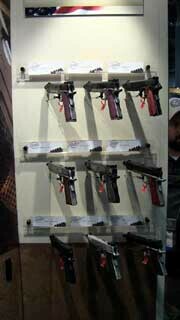 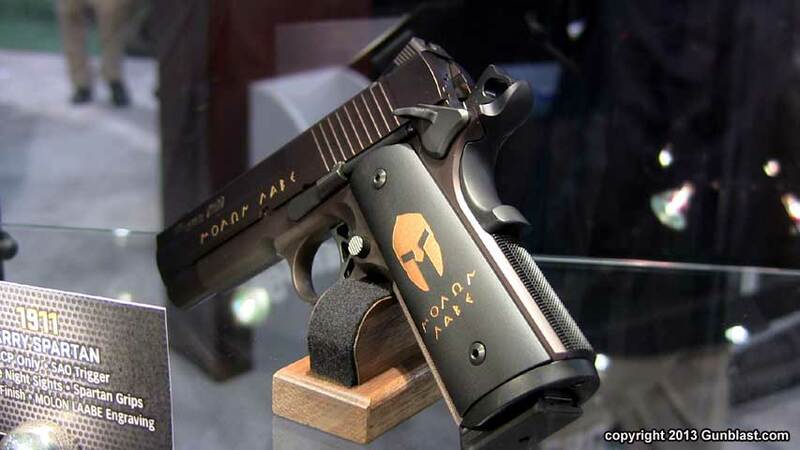 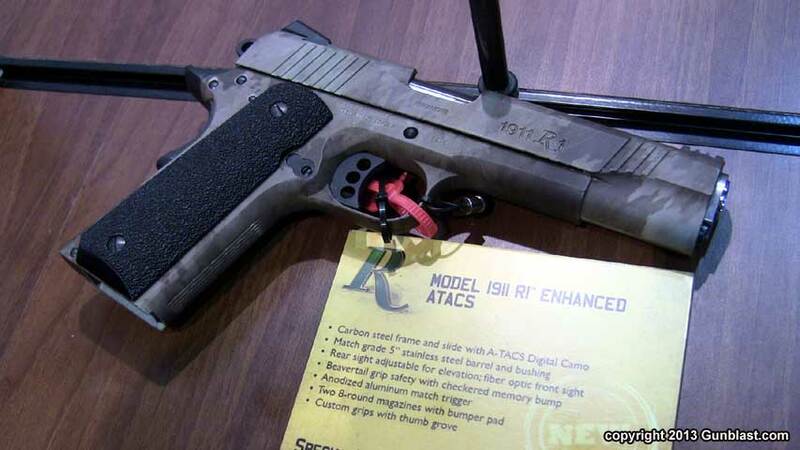 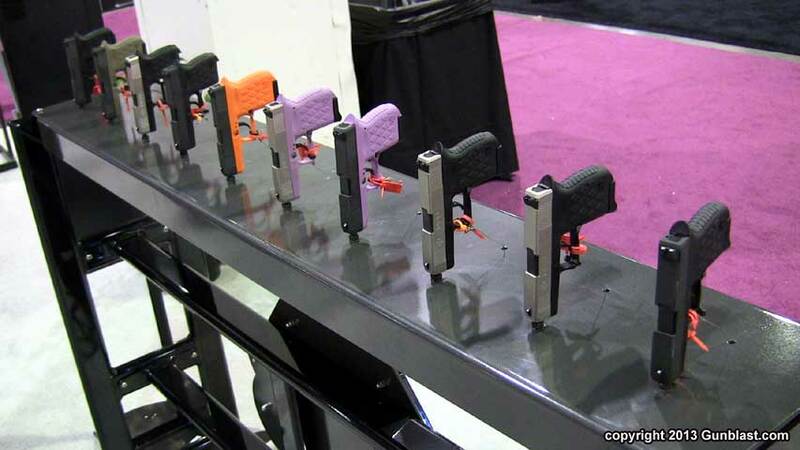 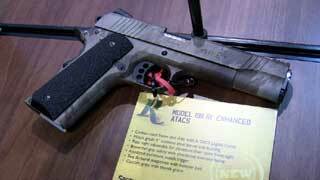 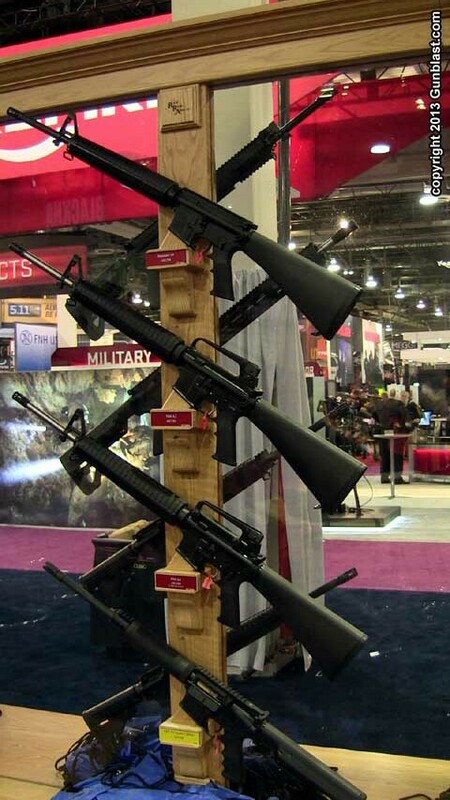 Remington 1911 R1 Enhanced ATACS. 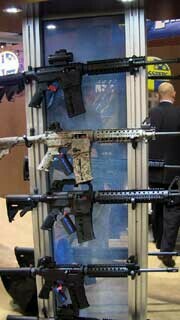 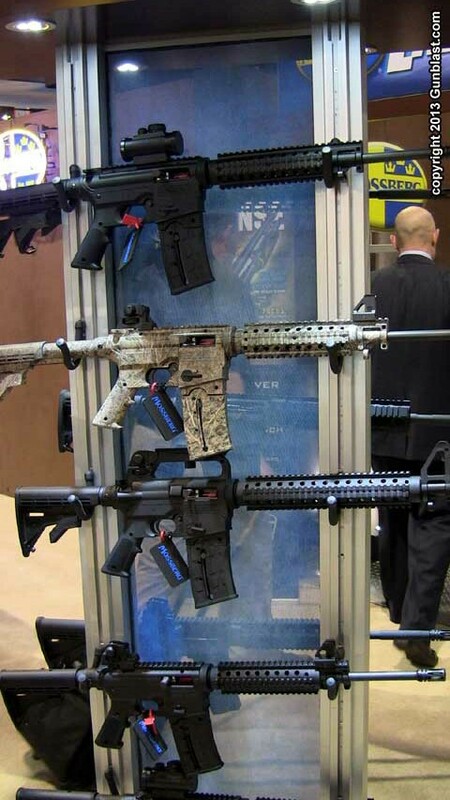 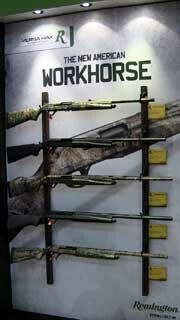 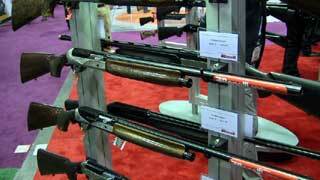 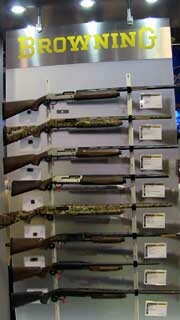 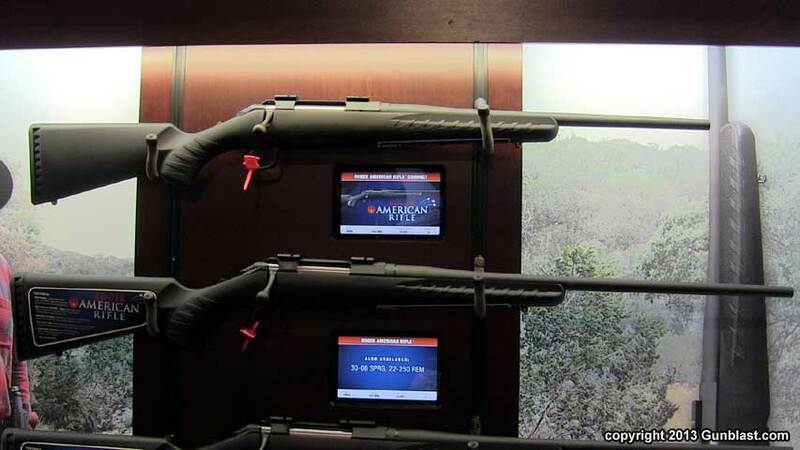 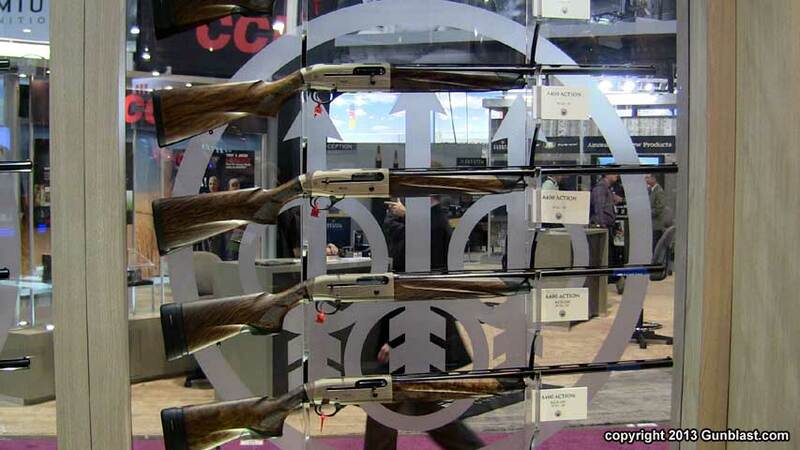 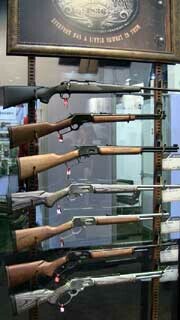 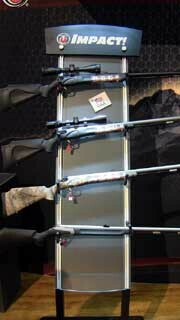 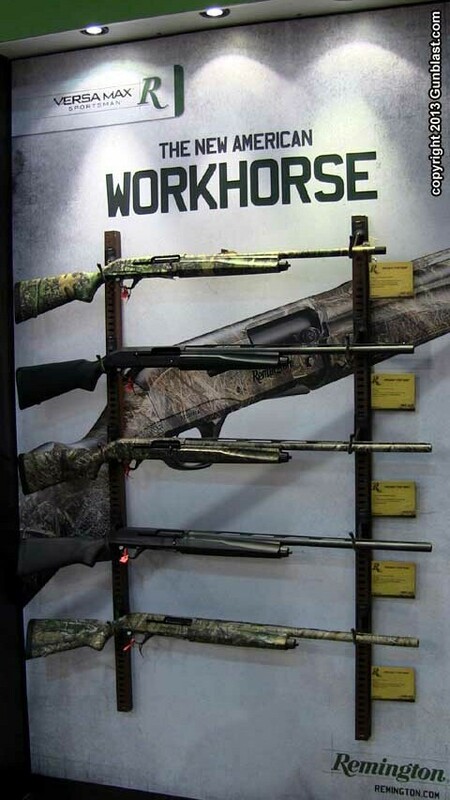 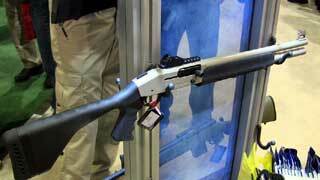 Remington's new VersaMax Sportsman line. 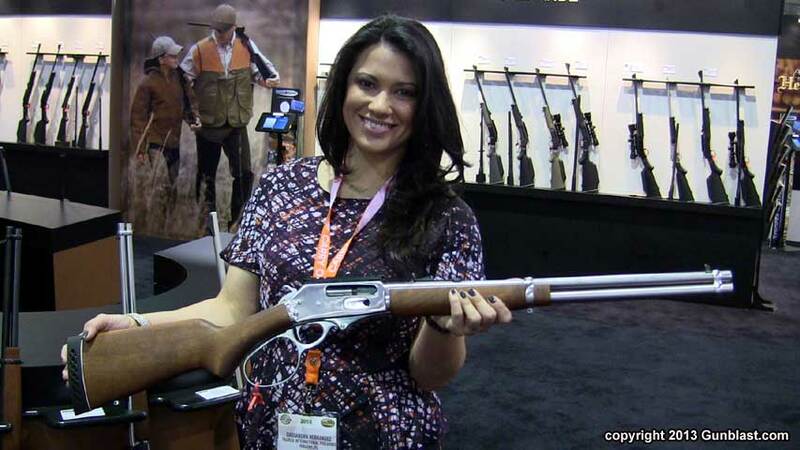 Cassandra Hernandez with Rossi's Rio Grande 45/70 stainless lever-action rifle. 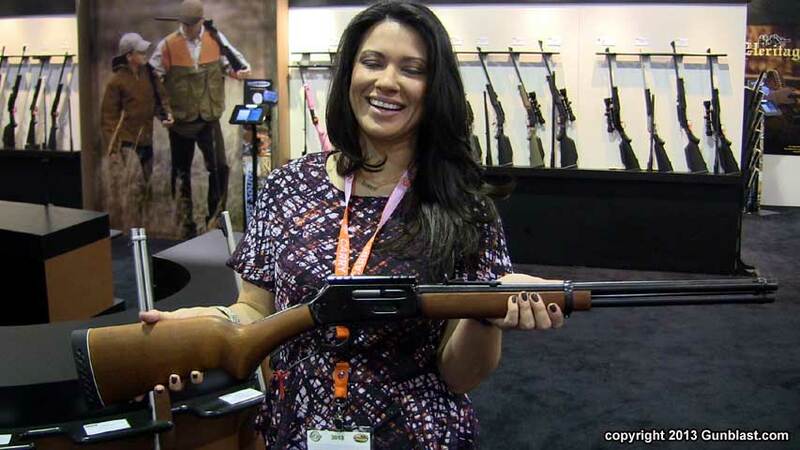 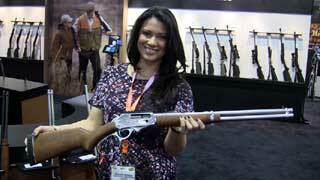 Cassandra Hernandez with Rossi's Rio Grande 410 lever-action shotgun. 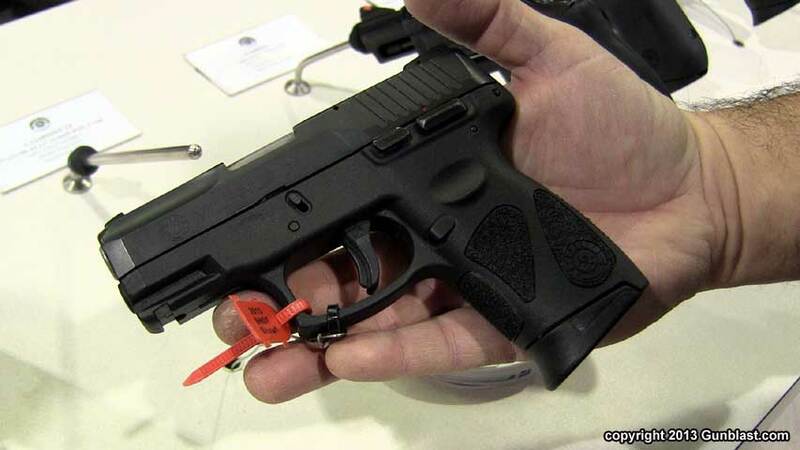 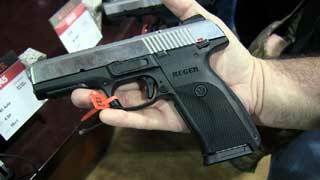 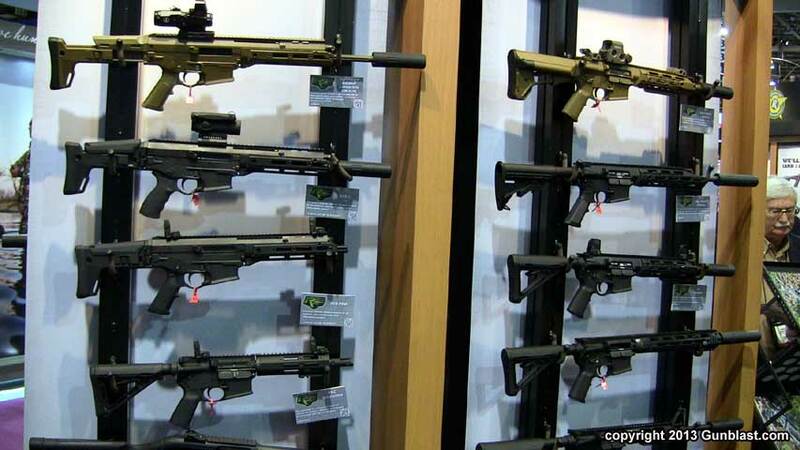 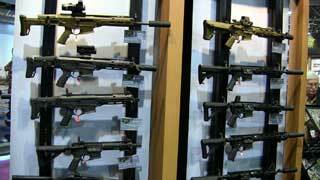 Taurus' new Millennium G2 9mm pistol will also be available in 40 Cal. 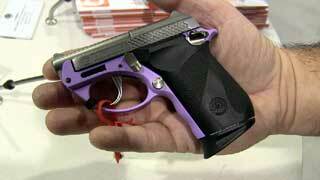 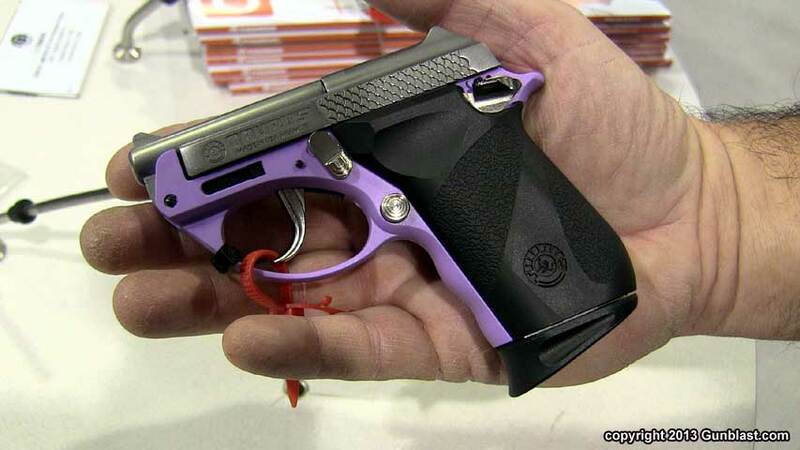 Taurus PT22 Poly with lavender frame. 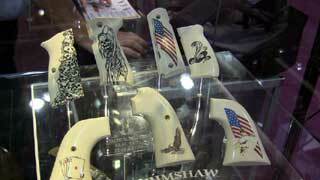 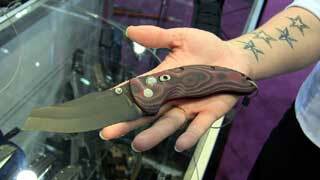 Hogue has introduced a comprehensive line of knives for 2013. 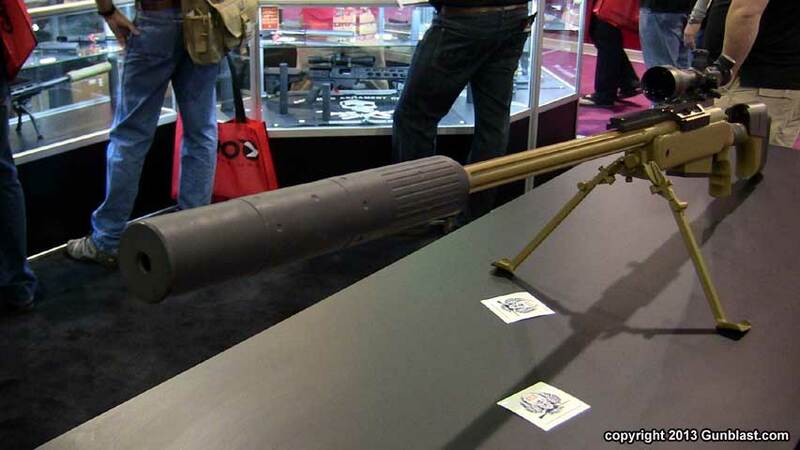 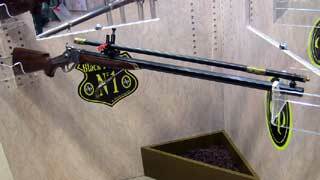 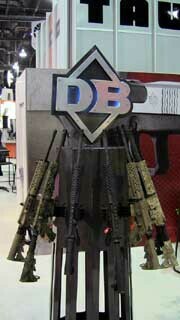 AAC suppressor for the 50 Browning caliber. 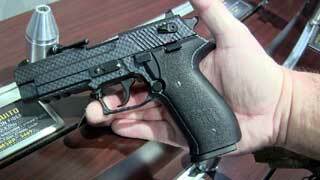 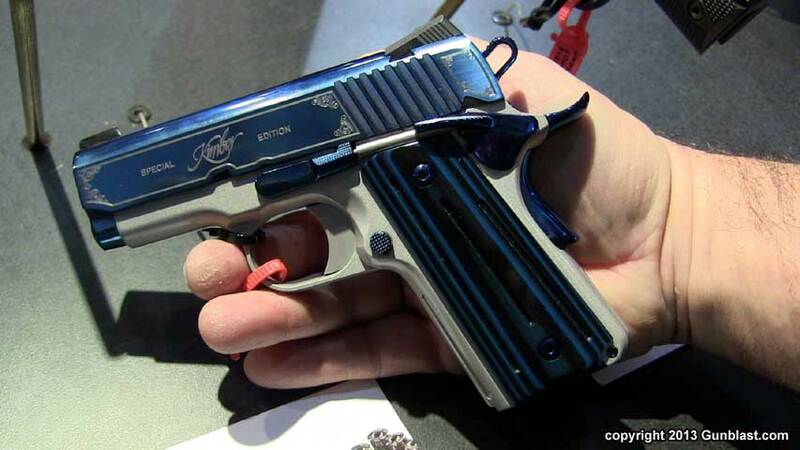 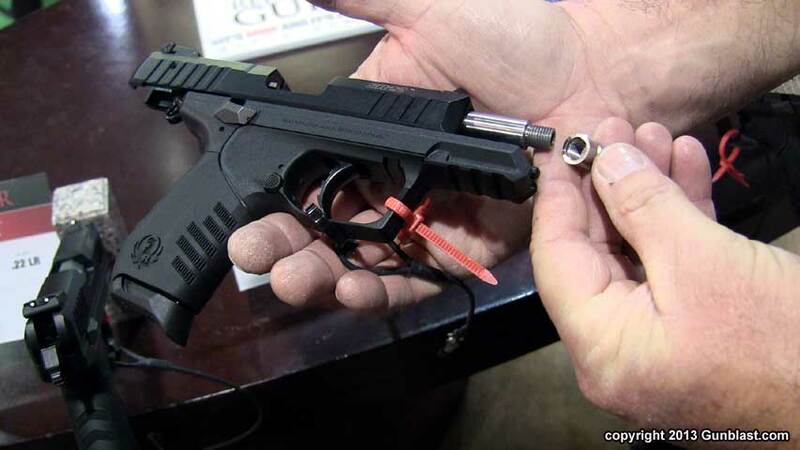 SIG Mosquito Carbon Fiber pistol. 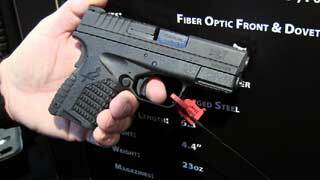 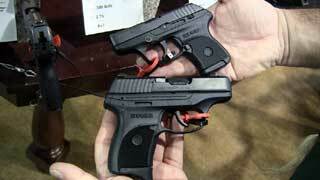 Springfield's new XDs-3.3 9mm pistol. Benelli Raffaello Deluxe 12-gauge shotgun. 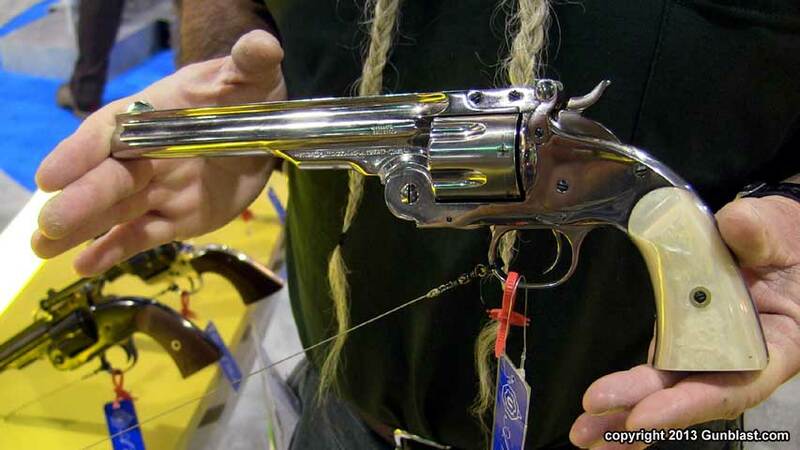 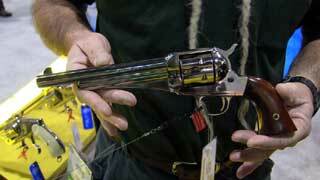 Uberti nickel-plated Schofield 38 revolver. 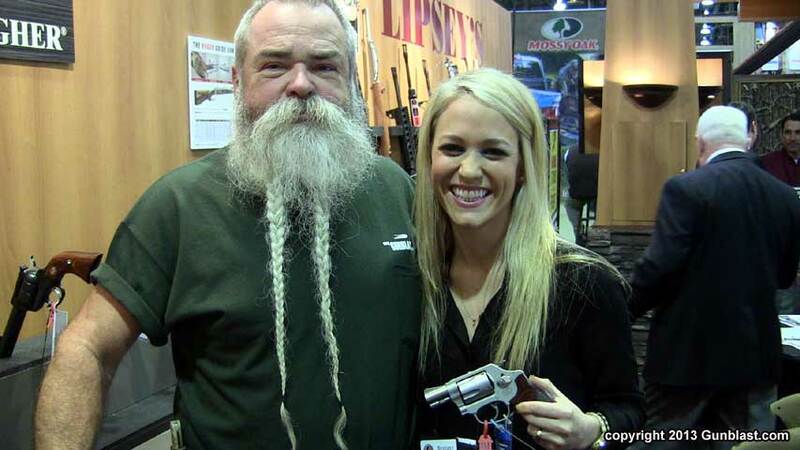 Brittany Sevier with Lipsey's exclusive HK 45 pistol. 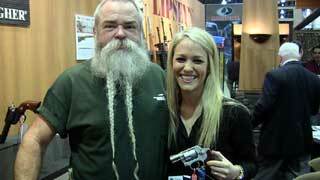 Jeff and Brittany Sevier with TALO exclusive S&W Performance Center Special. 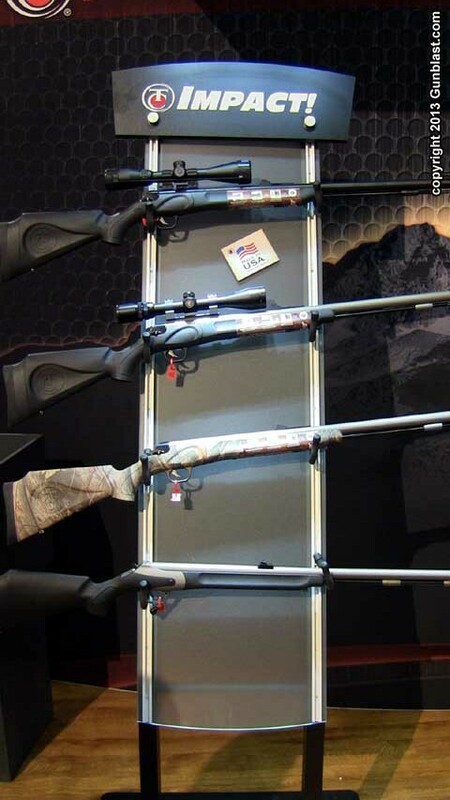 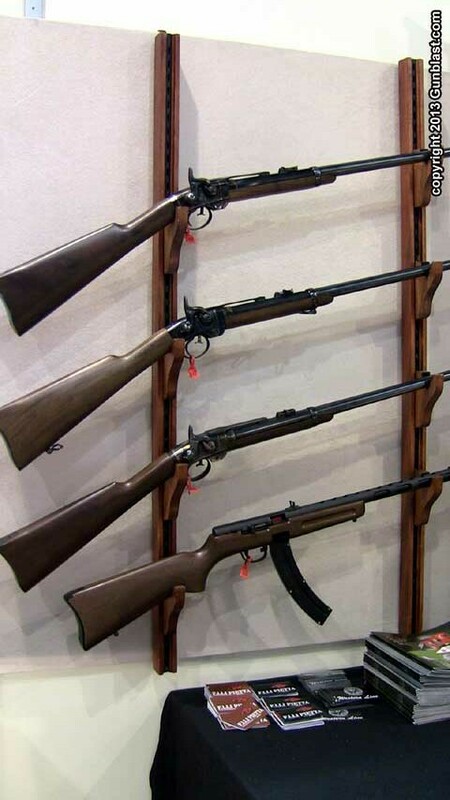 Ruger's new Compact American rifle (top) compared to standard Ruger American rifle (bottom). 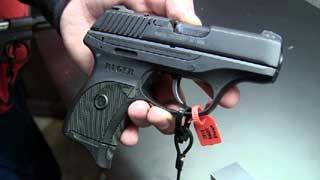 Ruger SR-22 pistol with threaded barrel. LC380 (bottom) compared to Ruger LCP (top). 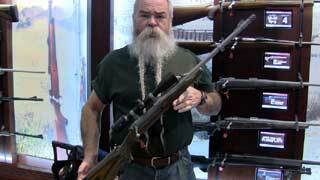 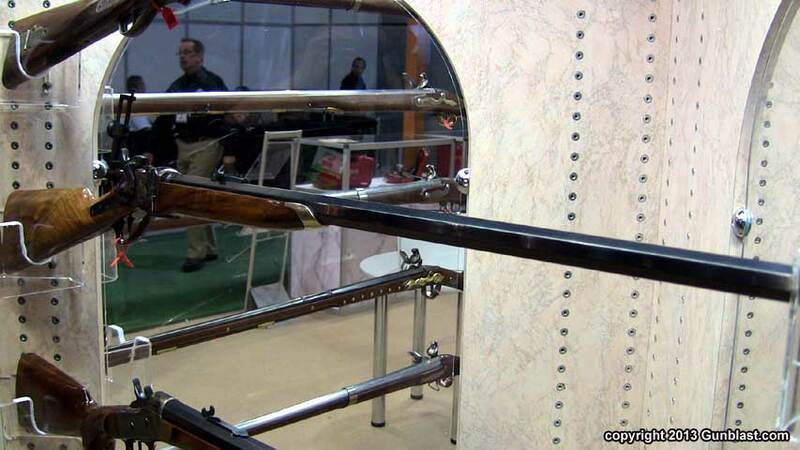 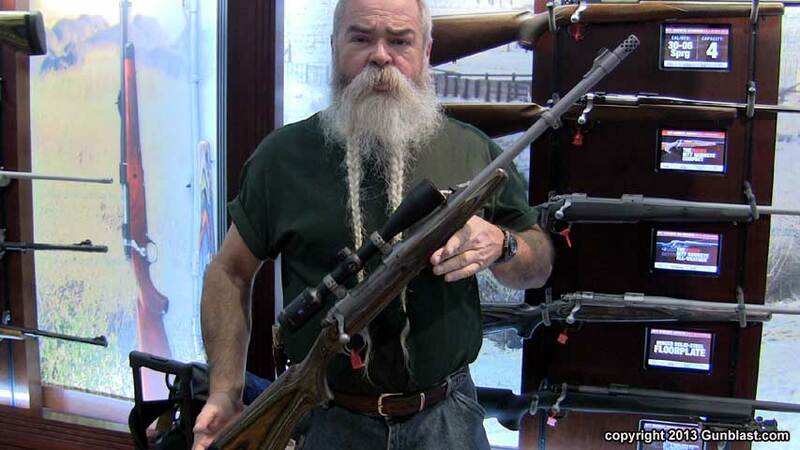 Pedersoli Sharps rifle with Malcolm-style scope. Pedersoli Sharps rifle with tang sight. Kimber Micro Carry 380 pistol. 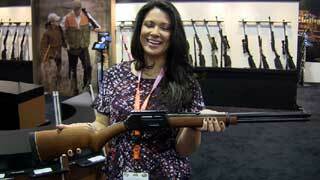 Christina and Caitlyn with Red Jacket Firearms' armored cell phone covers and ZK-22 10/22 Bullpup conversion. 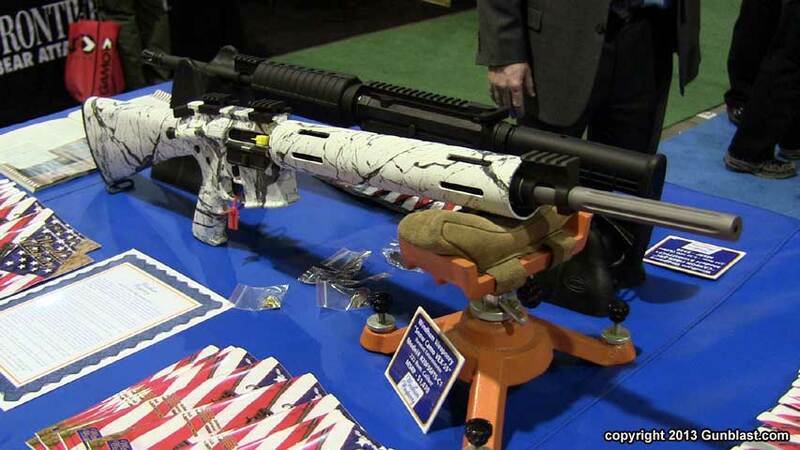 Windham Weaponry's Snow Camo finish on a VEX-SS Varmint Exterminator 223. 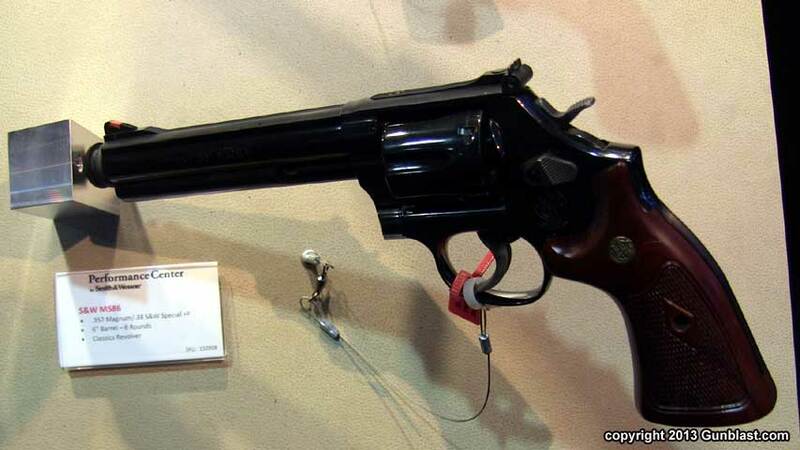 Smith & Wesson Model 625JM 45 ACP revolver. 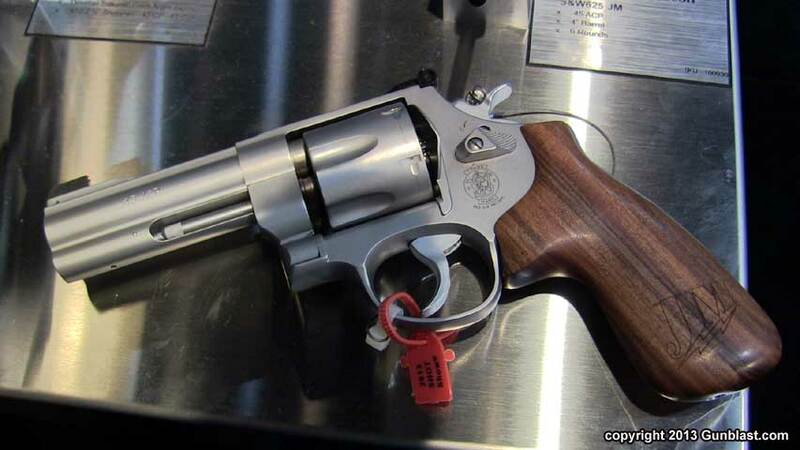 Smith & Wesson Performance Center Model 586 357 Magnum. 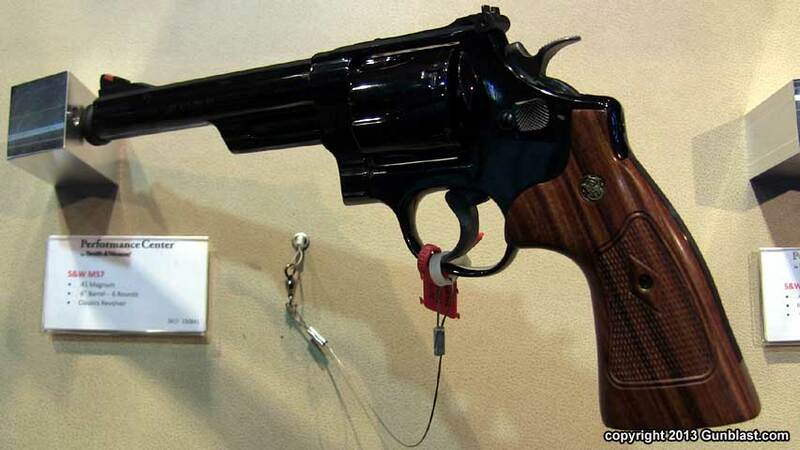 Smith & Wesson Performance Center Model 57 41 Magnum.